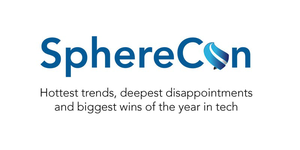 Sphere Software is proud to bring you SphereCon. This year’s event will focus on the startup world of Blockchain, IoT, and Ruby. At SphereCon, you’ll learn about the hottest trends and best practices, gain industry insights, and expand your professional network. Please go here to learn more about the event and register to attend. *These presentations will be delivered in English, everything else will be in Russian. **There might be slight changes in the schedule. 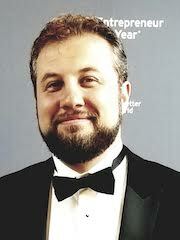 Anton Shemerey, Director of Technology, Sphere Software. Language agnostic software engineer with background in Ruby, Go, JS, and software architecture, always interested in new and emerging tech. Topic: IoT & Blockchain. The future is already here, it’s just not equally distributed. You will learn about how IoT & Blockchain find practical application in the real world. Topic: Regression Test Selection for RSpec. We will examine Crystalball, a gem that allows you to select a subset of the project test suite to run based on code changes. This presentation will be particularly interesting for Ruby developers who use RSpec to write tests and/or suffer from big test suites. You will learn how to speed up local development, as well as get feedback from CI faster. 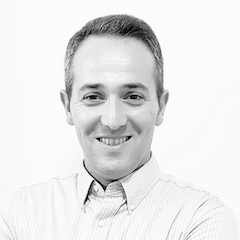 Vladimir Shulman, based in Haifa, Israel, Vladimir has more than 10 years of R&D experience in market leading high tech companies such as Intel, Qualcomm, and Amazon. He is proficient in multiple aspects of software and hardware technologies. You will hear a story of moving from Idea to POC and half way to MVP and why it was a successful fuckup. Some very basic aspects of patenting, idea validation, the importance of good marketing/promoting will be covered, and of course you will hear about some basic technical aspects of AWS serverless framework that was used for the start-up. Mark Friedgan, based in Chicago, Mark is an early stage investor and advisor to Startups, award winning CIO and experienced technology leader. The major businesses Mark has been involved with are Enova, Eligo and CreditNinja. You will hear real-life stories and practical examples of how to write code for a successful startup and how to find the balance between business and tech needs. 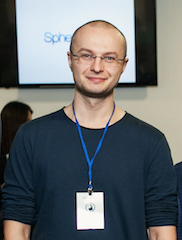 Sergey Kovalev, Senior Software Engineer, Sphere Software. 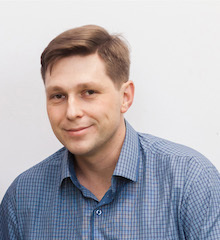 Sergey has more than 10 years of production experience covering various roles from Sofware Engineer to Solution Architect. He is always eager to learn from others and curious about the latest tech trends. 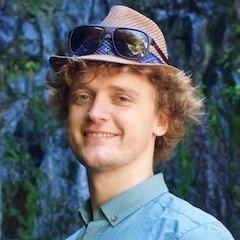 Topic: SOLID Design Principles in Rails and the feeling of code smell.